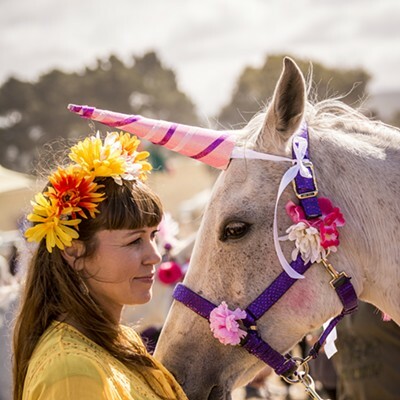 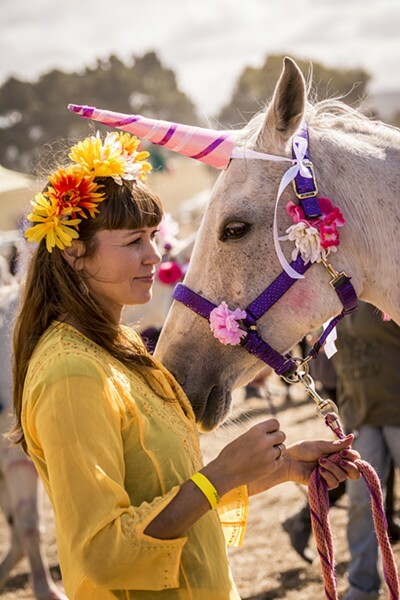 Julie Vinum, of Blue Lake, waited with her "unicorn," Gracie, to begin the Blue Lake Saddle Club's rides for children. 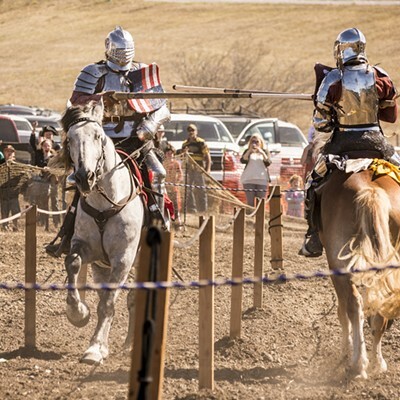 It was the first year for the club's petting zoo and horseback ride fundraiser at the Medieval Festival of Courage in Blue Lake on Saturday, Oct. 3. 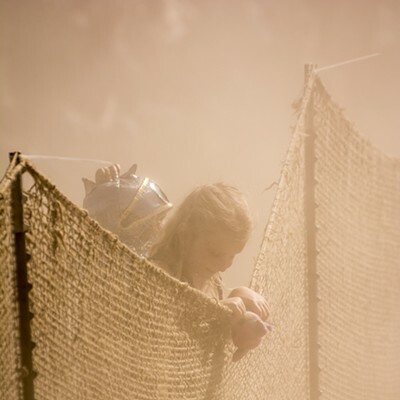 It took courage to hang out at the Medieval Festival of Courage in Blue Lake — at least until the water truck showed up to settle the dust — on a windy Saturday, Oct. 3. 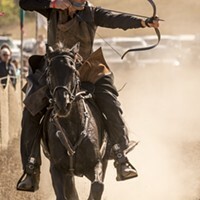 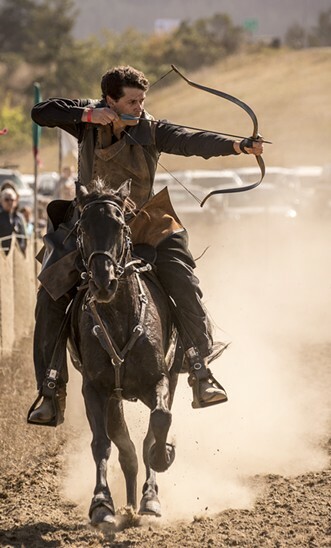 The fundraiser for the Coastal Grove Charter School Parent Organization Foundation attracted a large crowd to Christie’s Pumpkin Patch farm, only to find the horses of the Rogue Mounted Archers stirring up heavy dust in the arena, due to the drought. 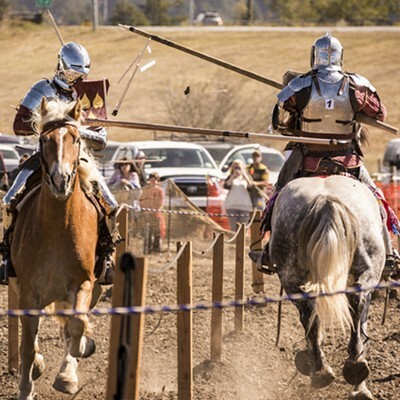 Thankfully, a large water truck arrived to spray down the arena and a large crowd gathered in comfort to watch the Knights of Mayhem perform their full-contact jousting. 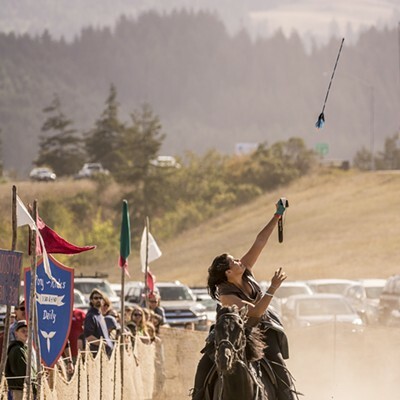 Gusty winds rattled some of the vendor booths and appeared to challenge the Humboldt Aerial Collective aerial silk performers, but they went on with their show despite the wind. 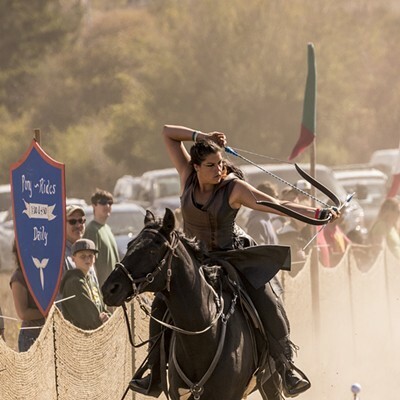 Other shows were provided throughout the day and vendors provided shopping opportunities for food, drink and clothing. 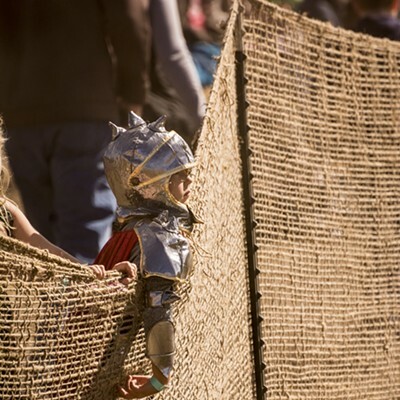 The temporary living-history village was populated by large numbers of performers and attendees of all ages dressed in period costumes. 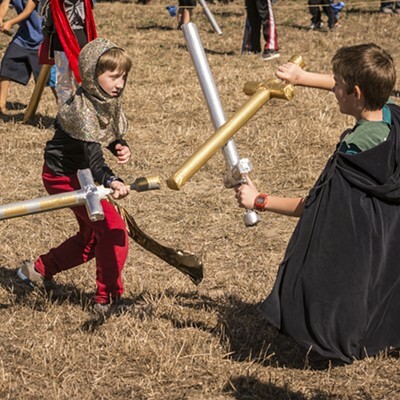 A children’s medieval costume contest was scheduled for Sunday. 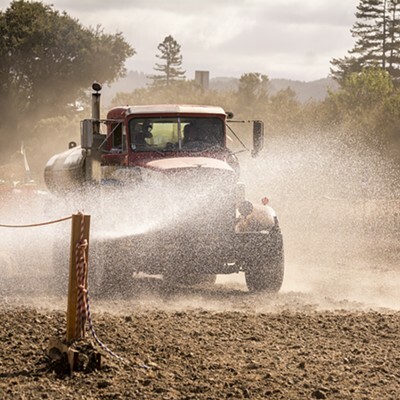 It was a fun time-travel experience to join the crowds wandering through the medieval village — but everyone appreciated the water truck’s arrival to end the dust bowl.